The New Year is the perfect time to take a hard look at your business’s security and make changes. One security measure that many businesses overlook is hiring security officers to patrol their building. Security officers can provide an extra layer of security to your business, keeping your employees, clients, and other personnel safe. If you’re interested in hiring security officers to keep your building safe, read below to learn about what they can do for your business. One of the most important benefits of a security officer is that they will keep your business secure. A security officer can watch for any suspicious behavior in the building and stop it before it becomes an issue. They can act quickly in the event of a threat and are highly trained to handle threats efficiently. When you have security officers in your business, you can feel certain that any potential issue or threat will be handled quickly and efficiently. Posting security officers at the entrances of your building can help promote security. Security officers can monitor the entrances and ensure that everyone who enters the building is authorized to be there. Security officers can keep track of everyone who enters and exits the building in order to monitor any suspicious activity, keep out unauthorized visitors, and promote the overall security of the building. 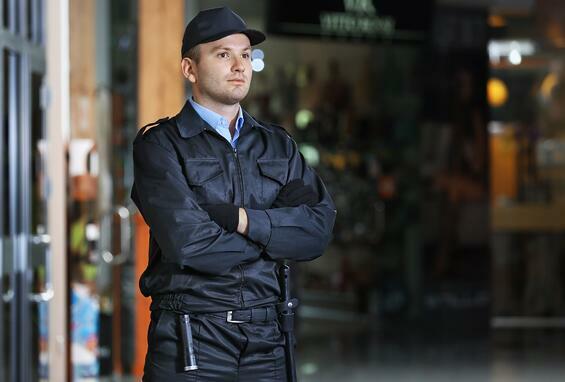 Security officers can help enforce the rules of your business. If your building has restricted areas, they can help ensure that unauthorized individuals keep out of these areas. If your building houses valuable equipment, security officers can help ensure that this equipment is protected, making sure that no one misuses or damages it. They can also help deter and prevent theft of any valuable equipment or information in your workplace. Security officers are highly trained to monitor surveillance equipment. If your building has security cameras, security officers can help monitor the equipment and watch for any suspicious activity or threats. If a security officer spots a threat, they can quickly signal for another security officer to respond quickly and appropriately. When you have security officers monitoring your surveillance equipment, you can be sure that your building is protected. For large-scale businesses, security officers can be very valuable in protecting your parking garage or parking lot. Unfortunately, workplace parking areas often attract theft, as cars are left unattended for such a large portion of the day. Security officers can patrol these areas and help deter theft. If a security officer notices an attempted break in, they can quickly stop a person in the act. One of the more overlooked responsibilities of a security officer is the writing of reports. Security officers are highly trained to write detailed, accurate reports of any issues that occur including theft, criminal activity, or safety issues. These reports are very useful when presented to the police and to ensure that these issues to not occur again. Documenting security issues is an important part of a security officer’s job because it will help them prevent similar issues from occurring in the future. Security officers are highly trained in emergency response. For this reason, security officers are valuable assets in the event of an emergency. If the emergency is related to an individual, such as an active shooter situation, security officers will be able to stop the attacker and protect your employees. In the event of fire or other similar emergencies, security officers will be able to keep calm and provide all employees with proper directions on where to go and how to proceed. If there is ever an emergency situation in your business’s building, security officers will be one of the best tools you have to protect you and your employees. For the past 27 years, USI has created safe, secure environments for commercial and government employees and customers by investing in our people, innovation and relationships. As engaged owner-operators, our investment begins with recruitment and screening to ensure we have the right people and continues through our policies and practices that enable USI to properly train and retain the best personnel. USI is engaged in supporting your security and business by developing customized security solutions that support your objectives while cost-effectively minimizing risk. Clients receive continuous support from a highly responsive team of professionals including owners, management, field supervisors and officers. Our commitment to quality includes field inspections and audits, as well as investments in innovative solutions for continuous training and compliance.